Darkest Day or Finest Hour? Picture a debris-strewn field. The injured struggle as news media begins to storm the area. The hero swings into action, swiftly following protocol to save lives and restore as much normalcy as possible. It’s not Hollywood’s latest blockbuster, but it is a situation that could surprise any financial institution. 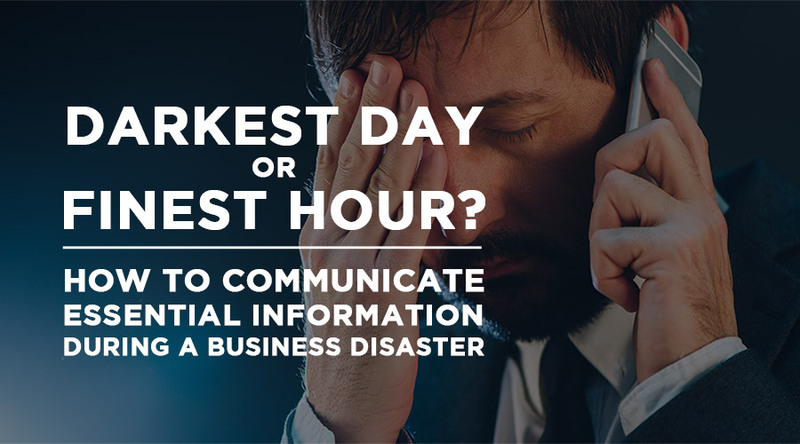 Whether you’re a seasoned business continuity planning expert or a neophyte, this webinar will help you set the stage for communicating the essentials and effectively addressing the complete lifecycle of business continuity planning. Check out all of our business continuity planning resources. Easily share this webinar with friends and colleagues.